#109 Leaders Unite! 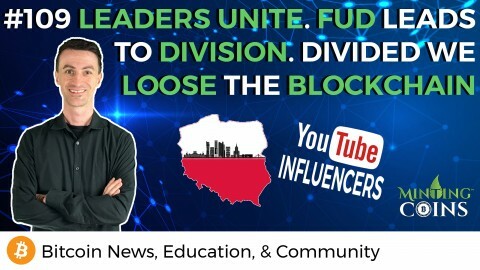 FUD leads to Division; Divided we loose the Blockchain. #101 Banks Are Nervous & BTC Passes $5,000! + S2X/B2X Called-out! What is ENS? Learn How to Get Your .ETH Address Now!